The Wall Street Journal claims that “even Mom is getting stiffed this year!” A recent National Retail Federation survey found that consumers plan to spend 11% less this year on gifts for mom, down to $123.89 from last year’s average of $138.63. The study showed that although people don’t plan to forgo the holiday altogether, the current state of the economy is causing them to budget carefully and watch what they spend. Thoughtful, inexpensive yet personal gifts will go a long way this year, and moms tend to appreciate those types of gifts the most anyway! Even though mom has the hardest job in the world, we’re sure she’ll understand if her celebration costs a little less this year. Popular gift ideas in the survey this year include – flowers, dinner, clothes, a family outing, jewelry and gift cards. Keep in mind that even though overall spending will be down, it is projected that people will spend $2.3 billion on jewelry and $1.2 billion on clothing and accessories so retailers are gearing up for the holiday spending. We hear so much about teaching children how to sew; bringing back the sewing hobby by teaching the youngsters, but have you considered doing adult sewing classes? Previous posts to this blog in the “Industry News” section tells about how the sewing hobby is becoming more popular during the recession, and how fabric stores and individuals are teaching sewing to students at a rate of $10 per hour — get 5-10 students in a class and you’d be making some super extra income. Or how about the post about the predicted trends for 2009 include sewing businesses? There is a growing number of people who either want to learn how to sew, or those who already are in a sewing / alteration business that are seeing great increases in their businesses. On our end we can also tell that there is a growing number of people who are wanting to sew by the marked increase in the requests for our Learn How To Sew and Basic Clothing Construction books. 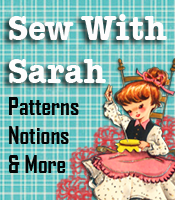 If you have room in your garage to set up several used sewing machines (you can get them at flea markets or yard sales), you could easily start a small sewing class. You could divide up your time and have one or two separate adult classes on week days (or evenings) and perhaps a teenagers class on Saturday. There are all kinds of options for this type of class. Think about it and see if you could arrange to teach a few of those adults / teenagers that are desperately looking for someone to help them learn to sew. Is your sewing and craft business getting geared up for the wedding season which traditionally begins the month of June?? If you’re not already sewing and crafting wedding items — favors, gifts, satin roses for filling with rice to “shower” the bride on her special day, and a variety of other things associated with weddings and wedding showers, now is the time to get into high gear! Wedding Projects has a book available that contains 50 wedding projects that you could be making and placing around your customer area for “show and tell”. Perhaps you could make a flyer or two letting people know that you are available for doing wedding projects — place a flyer on your wall, as well as at the fabric stores. For those of us who would like to get some of the “wedding” business, it could be a huge boon FOR you business. Normally there is no cut in prices for weddings and all that it entails, simply because this is a special day of special days!! The bride wants everything to be perfect, regardless of how much it might cost, so your business could benefit greatly by throwing your hat in the ring! Sit down for a minute and think about what you could do or make for weddings and showers. Get the word out and watch the business come in. If you’re already in the sewing and crafting for weddings business, let us know what you’re doing and what types of sewing or crafting you get the most requests for.